While Apple is holding the game for 2 weeks now in checking, the Android version suffers of problems with too many Android versions around. That doesn't sound too good. Not because of the different Android versions, but for the app programming. Normally you should, and you can, program an app that it would work from 2.3.6+ upwards. With the growing number of ICS and Jelly Bean (just this week Jelly Beans installations surpassed Gingerbread), it would be okay to concentrate on ICS 4.0+ upwards. So the excuse of more version let me think that this app won't be natively programmed for Android, but just converted and adapted. I hope I'm wrong. 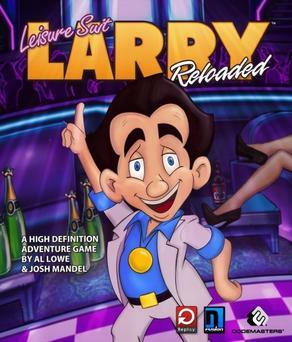 I really would like to see the "Leisure Suit Larry Reloaded" asap. I don't mind the $9.95 price tag. If the program runs good enough, it will be a lot of fun. Update 07/18/2013: IT'S OUT! But as I feared... Not compatible, and there seems no Android guideline involved. Looks like a multi-platform conversion. Poorly programmed, that's why it isn't compatible with most of devices. Don't do that to Larry :(. This is crapware so far.